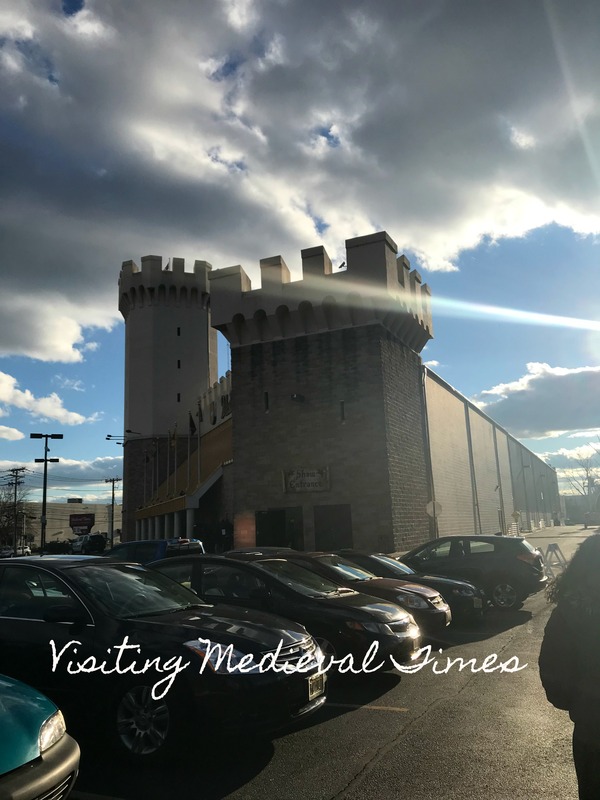 You are here: Home / Johanny's kitchen / My review on Medieval Times…Why you should go. Disclosure: I received free to tickets to visit Medieval Times for reviews purposes. All opinions are my own. I love Medieval Times, in fact, this is not my first time visiting the castle. Every time my family and I come to see the show is like a new experience. As soon as you get in line to enter the castle, the show starts! 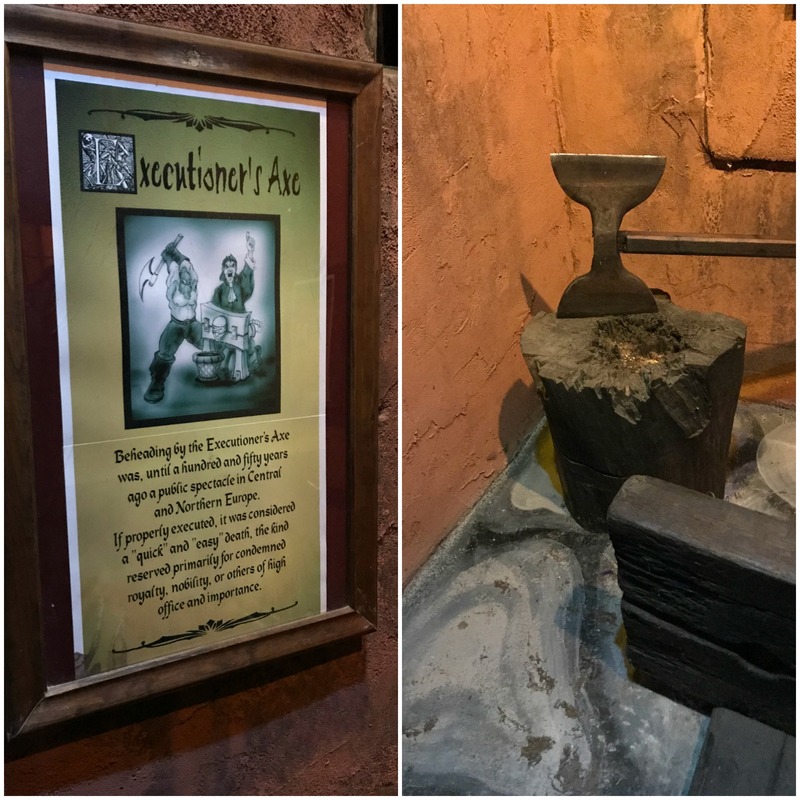 The Queen comes outside to welcome all the guests inside the castle; Then, after registration and before the actual show starts, guests can enjoy drinks, buy souvenirs, take pictures with the queen, and even visit a museum of torture. 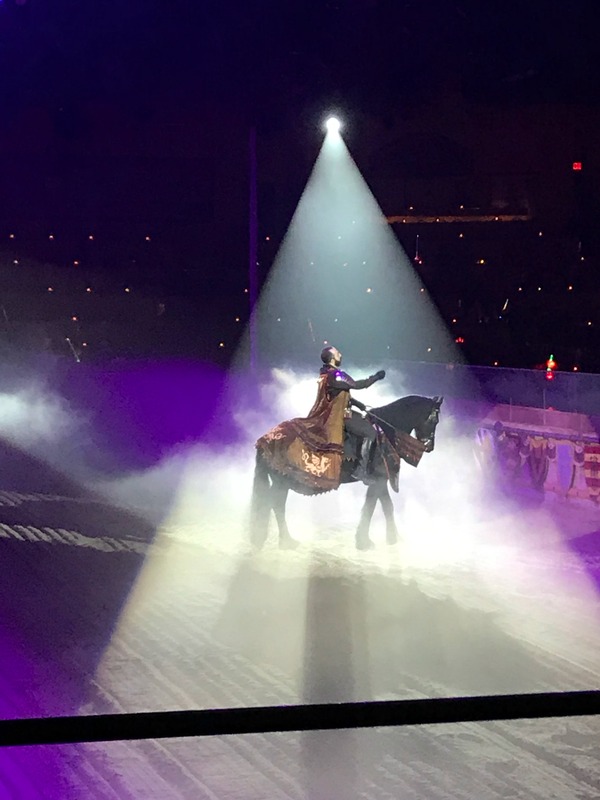 Once inside the arena you can enjoy an electrifying show featuring her Majesty Dona Maria Isabella, heroic knights and gorgeous horses while enjoying a “hands-0n” feast. 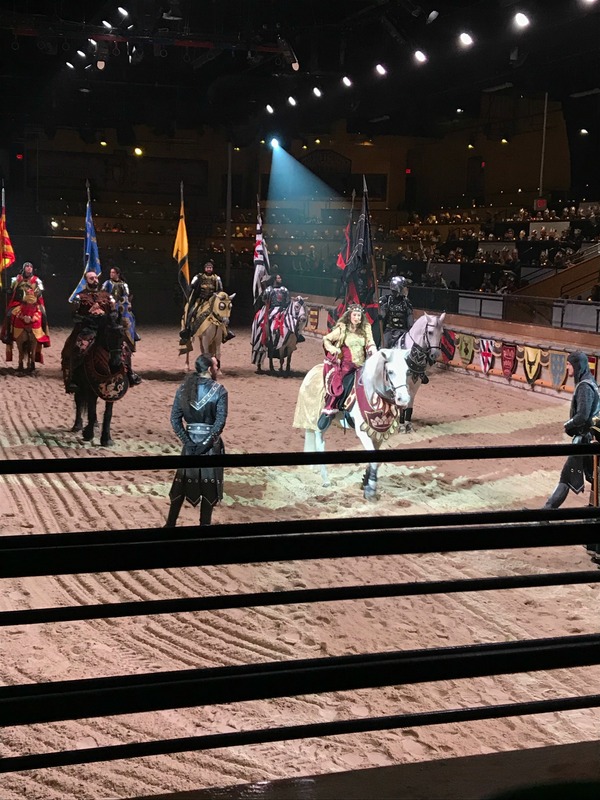 Medieval Times is like a fairytale, audiences of all ages will surely enjoy this magnificent spectacle–my 13 year-old-daughter surely did! specially after our knight threw a flower at her. 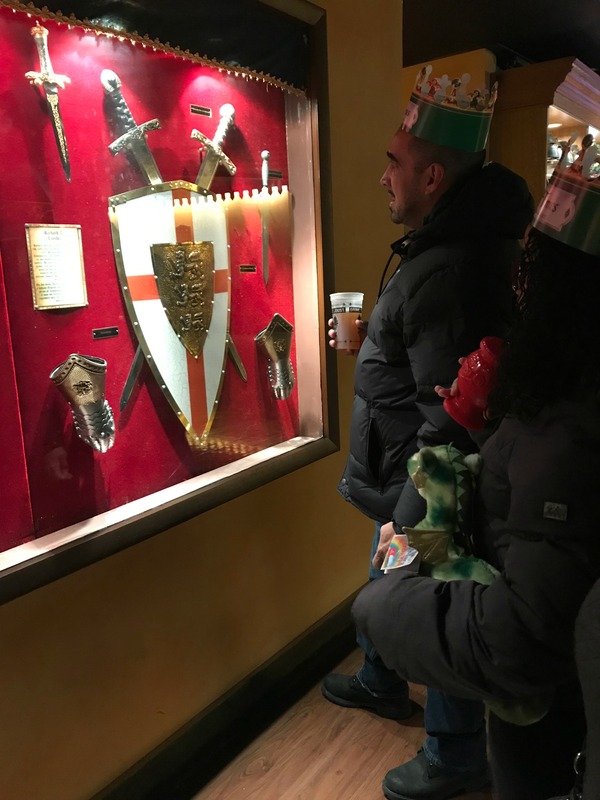 Medieval Times is the perfect place for any occasion: family fun night, birthdays, anniversaries and everything else you can think of! Go and enjoy the show! The new story brings a series of changes to the show including new costumes, custom-designed and handmade armor, fight scenes, and musical score composed by Dr. Daniel May, who directed and recorded the composition in Kiev with the National Symphony Orchestra of Ukraine. Be among the first to experience the debut of our new show. Experience Medieval Times for only $37.00 (Must Mention USF37 at time of purchase) May not be combined with any other offer or group rate. Tax, gratuity and applicable fees are additional. Upgrades are additional. Not valid on prior purchases. Visit https://bit.ly/2Sit7P2 for more info and to purchase tickets!